Creative gift card holders are a great way to give someone a gift card as a present. Not only individuals but retail businesses, spas and restaurants also use them. 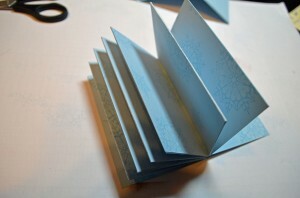 You can use the simple step by step guides to wish your friend a happy married life at her wedding reception. It is important to have their sizes perfect for fitting your gift cards. 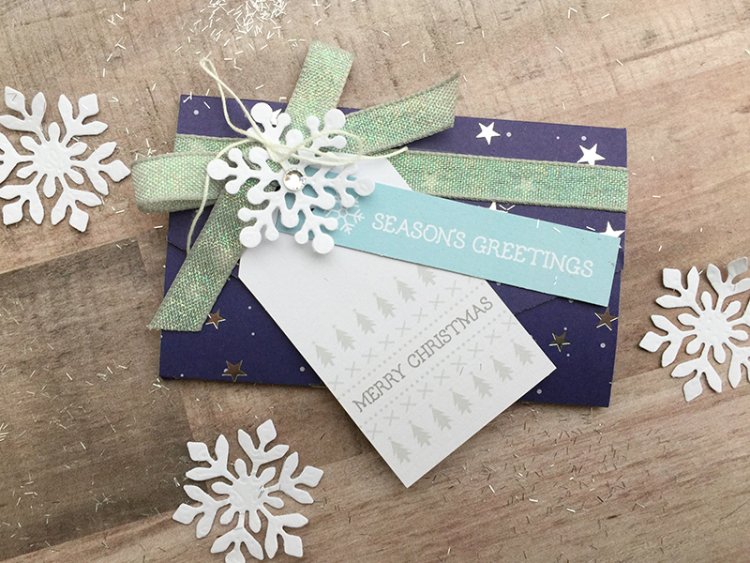 Snowflake patterns make this gift card look beautiful. The soothing colors comfort the eyes. It has got a top triangular fold closure. 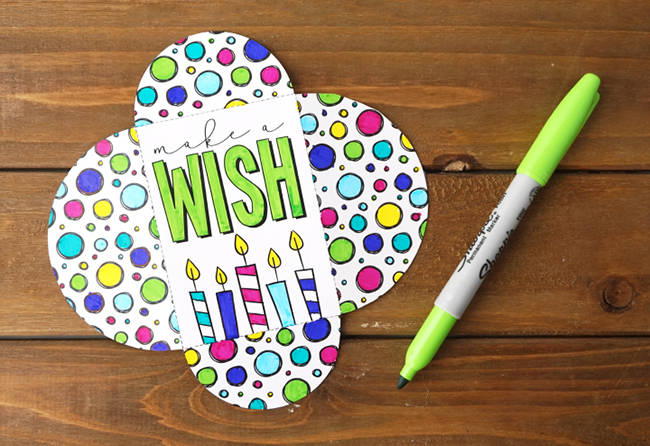 This colorful gift card holder can be presented at any celebratory event. 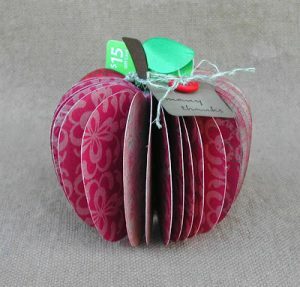 It is in the form of an accordion and has been closed with multiple wraps of twine. 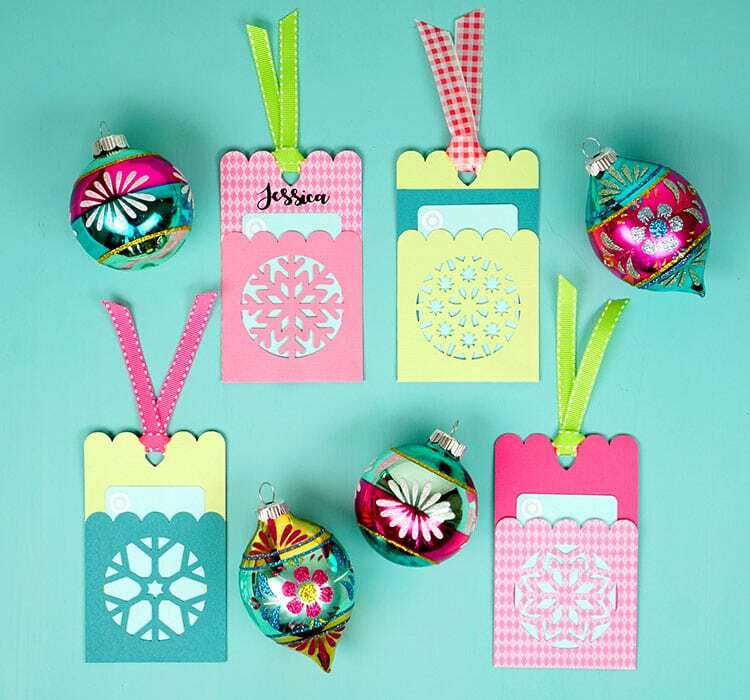 These homemade unique Christmas gift card holders can be used to decorate your Christmas tree as ornaments. 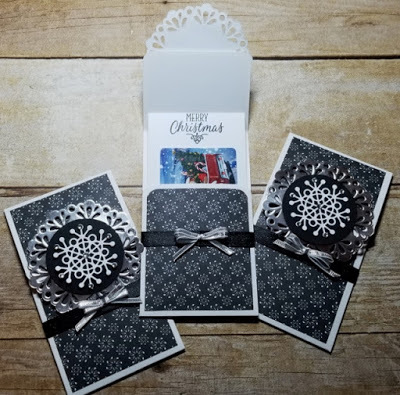 They have snowflake patterns and are made with paper, ribbon, glue and a template for your cutting machine. 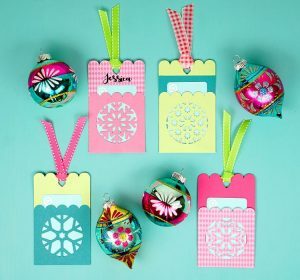 You can hang them with ribbon from your tree. 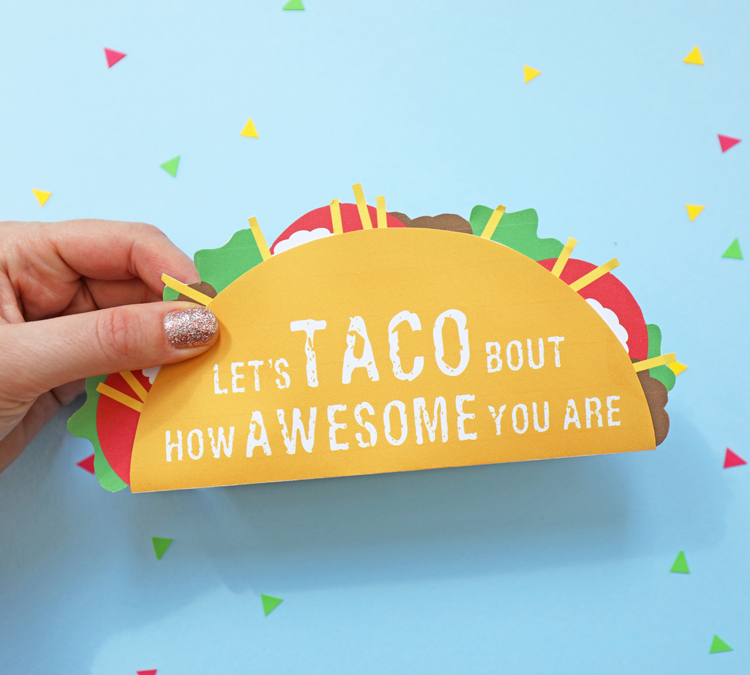 A taco holder would a fun food gift voucher presenting idea. 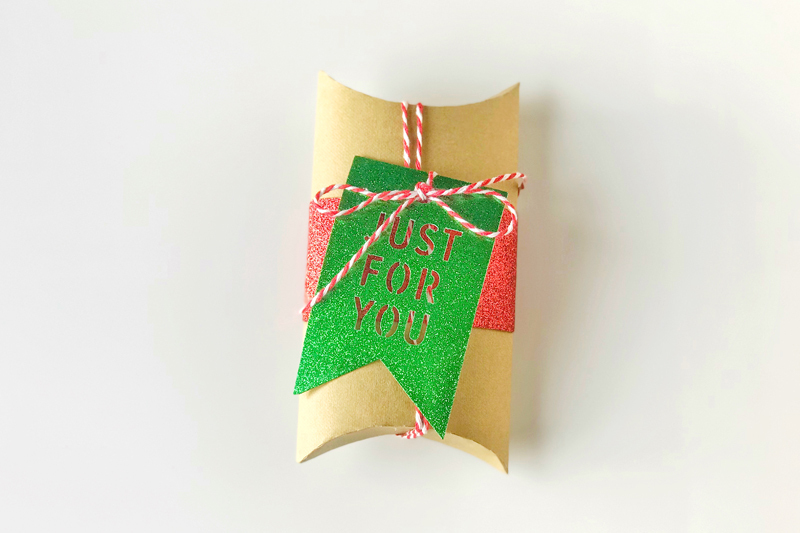 If your friend is a foodie, other ideas would be giving him pizza, popcorn, ice cream and cupcake gift card holders. 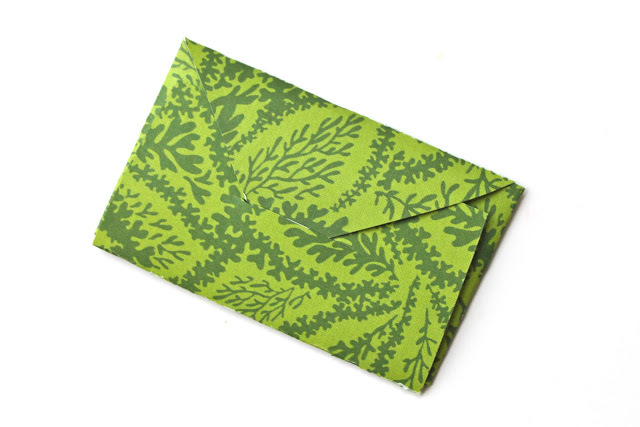 You can have a teaser word on a gift card envelope to make one guess what is inside it. 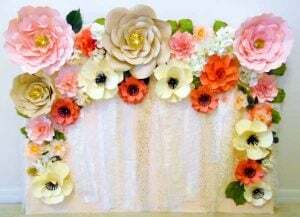 You can stitch well wishes for the bride-to-be on a piece of felt for a bridal shower. For Christmas, you can cut the felt in the shape of a mini Christmas stocking. 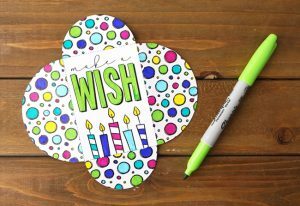 For a Disney themed birthday, cut out a Mickey Mouse head shape and for Easter, have it in the form of an oval, representing an egg. The above-linked article has DIY guides for 5 pretty styles of gift card holders for Christmas. We felt the pillowcase style (image below) is the cutest. 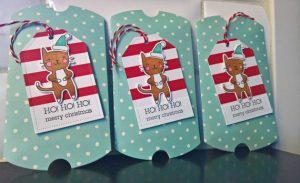 If you want, you can draw, color and cut out a cat pattern and glue it to your gift card holder tag for the holidays. 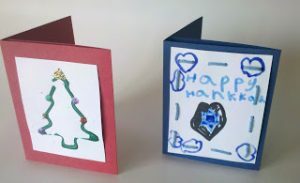 You can wish a dear one happy Hanukkah with the awesome blue gift card holder. For Christmas, you can have a Christmas tree, sleigh, ugly sweater and candy cane designs on it. A lump of coal, shoe or reindeer poop pattern would make it funny. 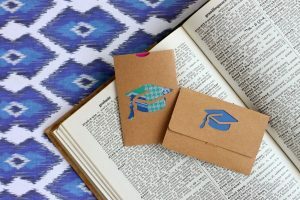 Kids can also make pencil, lego, monster, owl, piñata, Star Wars, penguin, Harry Potter book designs when giving them to their friends. 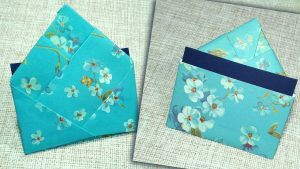 If you want to present multiple gift cards to an individual or you want to store many gift cards in one place, this DIY holder folded like an accordion would be a good idea. If it’s someone’s birthday and you want to give him a gift card, you can consider making this lovely gift card holder that has colorful dots on it. 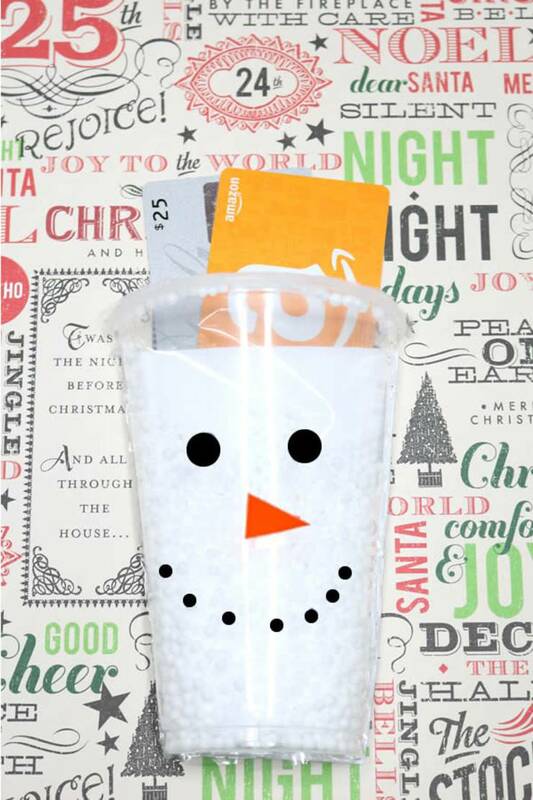 A mini coffee cup would convey your warm feelings for the gift card recipient. The idea would also work well if he loves coffee. It would be great for teacher appreciation. 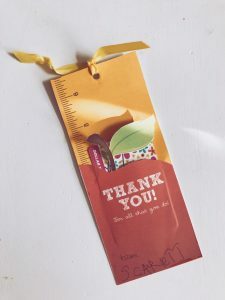 In the above-linked post, you have to scroll down to the part that described the procedure of making this bookmark gift holder for thinking your teacher. This graduation hat gift card holder idea is easy to make. 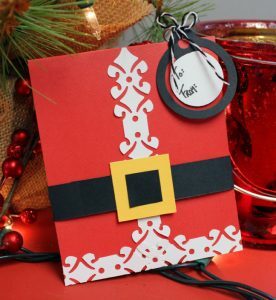 You can make it with card stock, cardboard or scrapbook paper. If you are doing it for Thanksgiving, you can cut out turkey shapes on the holders. 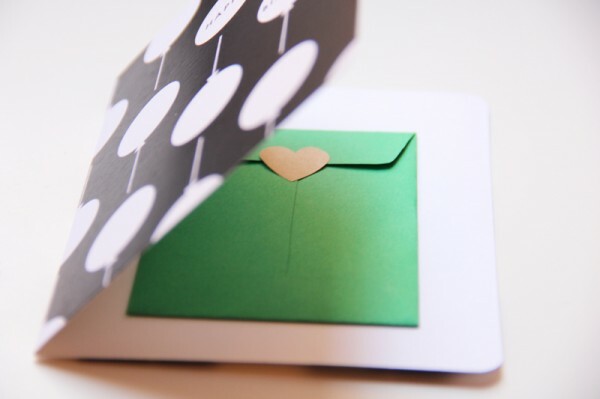 For Valentine’s Day, cut out cute hearts. 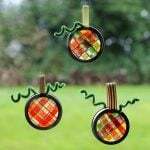 You can have them hanging from the neck of a teddy bear plush toy as well. A diaper gift card holder would be a cool idea for a baby shower. You need to just fold according to the instructions. This DIY involves cutting and stitching fabric pieces of different colors together. 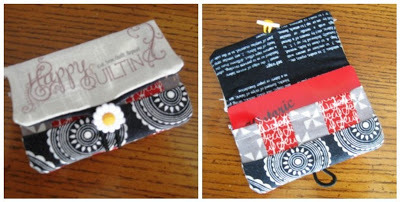 You can recycle the scraps left over from previous sewing projects through this free pattern. 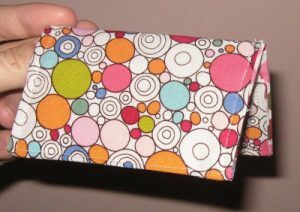 The dimension of the fabric used is 5”X10”. 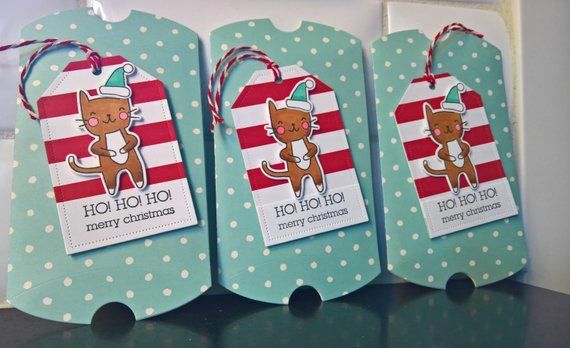 You can also cut it in the shape of mittens for an interesting variation. 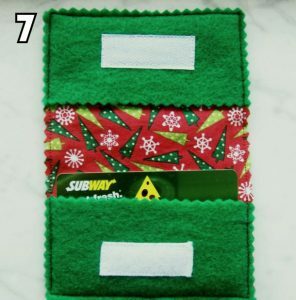 This cute gift card holder has been given the shape of a purse. You can have any fancy design on the flap. The handle can be embellished with beads. 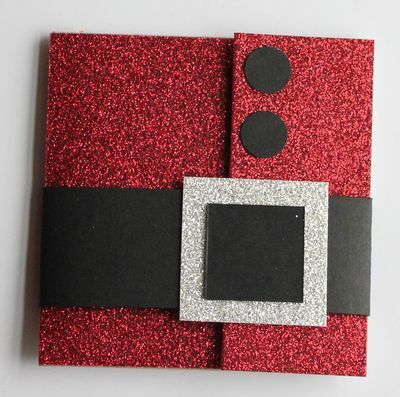 This one is apt for gifting at kitty parties and can be personalized. This pretty gift card holder is made by reusing and decorating a flattened paper tube for encasing a gift card for your loved ones on special occasions. You can have designs of an elf, airplane, lantern, bus driver, Hello Kitty, Pokemon, Minion, Snoopy, pumpkins (for Halloween) on the holder. The glitter makes this Santa suit gift card an unusual one for X-mas. 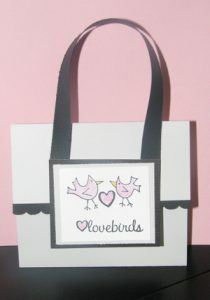 You can have it in the shape of a toolbox, baseball or wine barrel for Father’s Day. 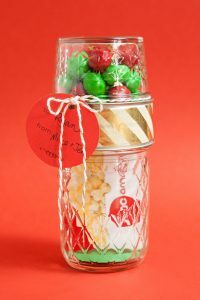 For Mother’s Day, candy bar, flower pot, cassette tape, bag, Cinderella carriage (coach) are some of the ideas. 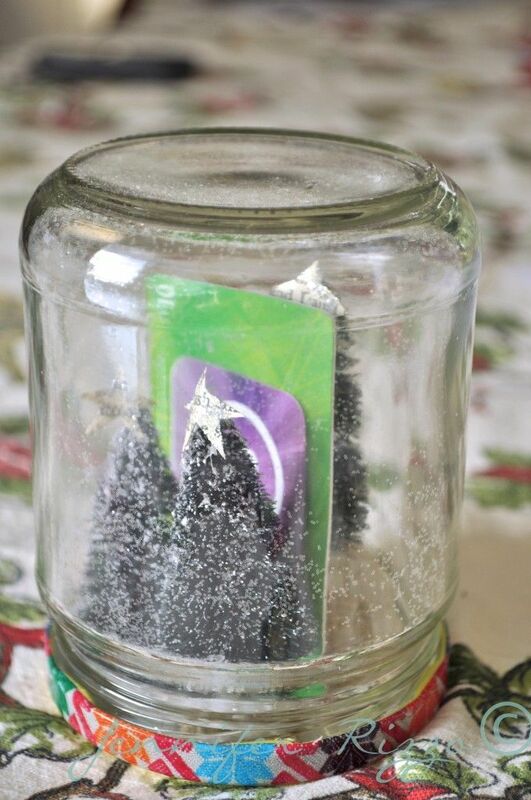 You can also make gift card trees. 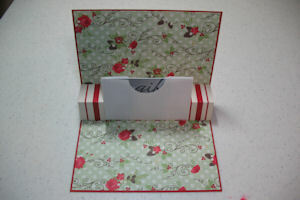 Scrapbook supplies go into the making of this quaint gift card holder box. 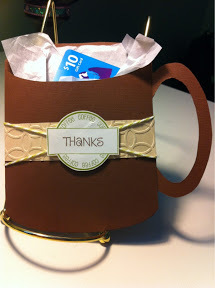 If you are giving it to a person who is a coffee lover, you can have a caption like, Thanks a Latte, on it. Or you can keep it simple and write, thank you. 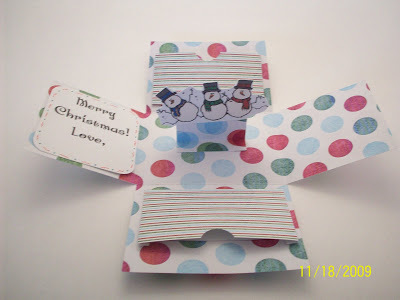 You can cover the box with wrapping paper and decorate it with ribbon bows and paper flowers. 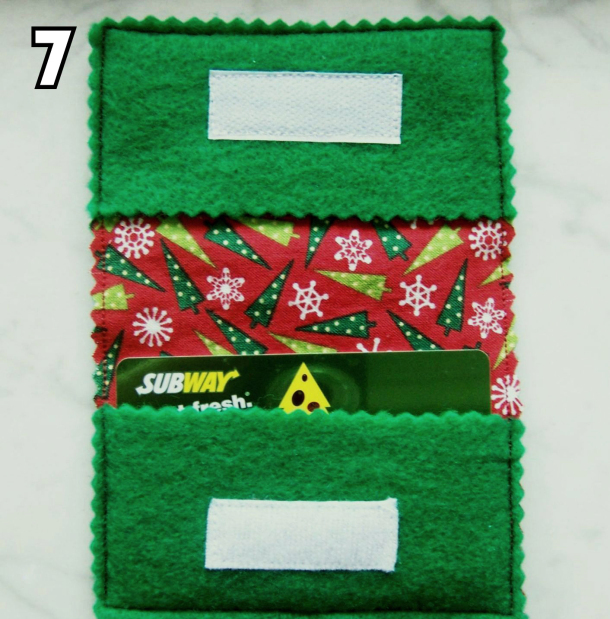 You can decorate this neat duct tape holder in any way you like. 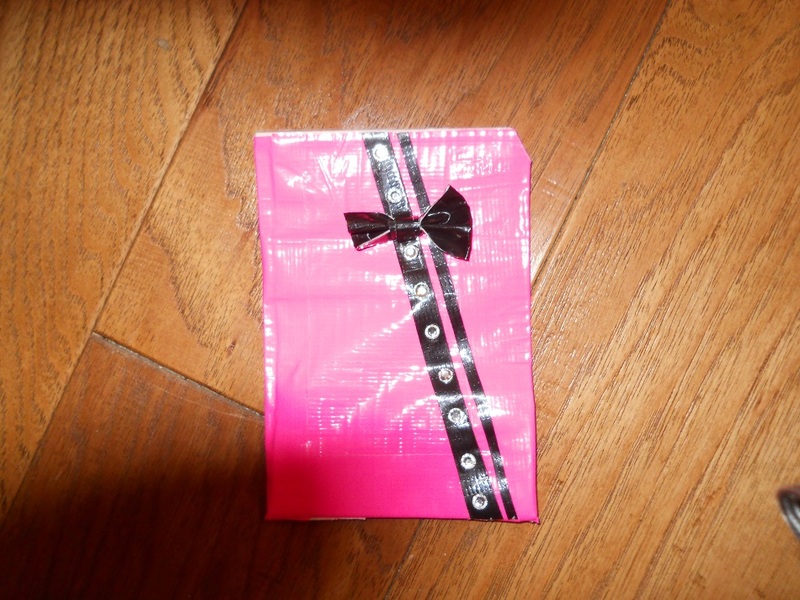 If you are making it with pink duct tape, you can have a black duct tape bow on it. 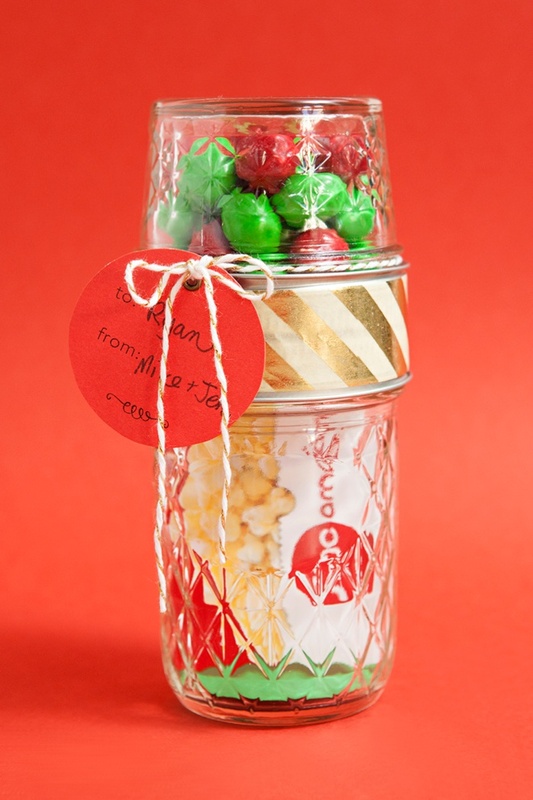 This mason jar gift holder is upped in its cuteness quotient by combining it with candy treats. 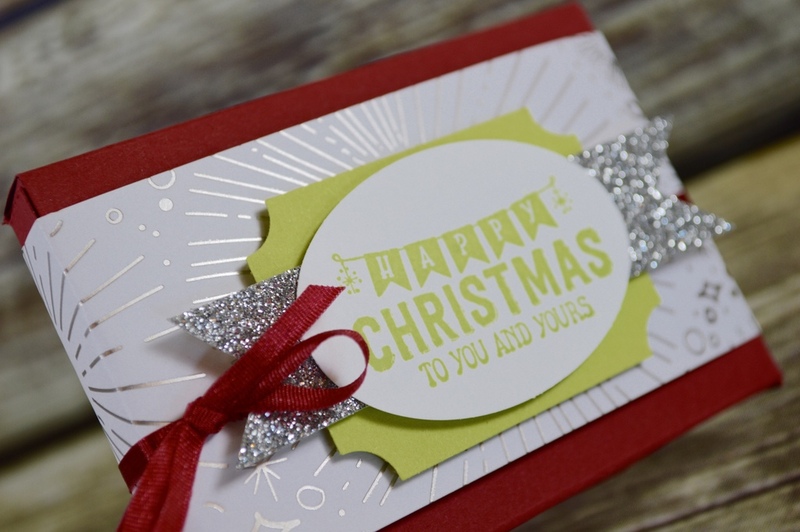 The twine bow adds to its looks. 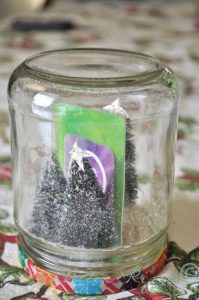 You can also make a snow globe mason jar holder for Christmas. 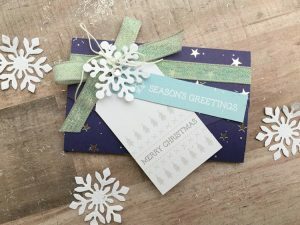 Just put mini Christmas trees, a tiny snowman, ornaments, matchbox cars, the gift card, mini reindeer, cotton and faux snow inside and you can wish your loved ones Merry Christmas in style. Gift card holders themed on animals like fish, bunny and bear would be adored by little ones. For a friend who likes to travel a lot, you can give a holder in the form of a suitcase. 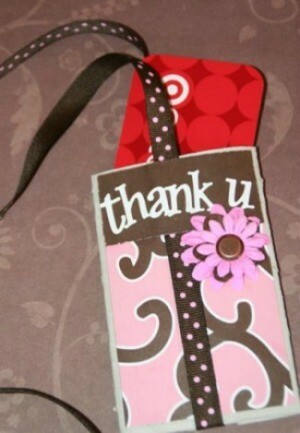 For a wedding reception, give them a gift card tag with the couple’s photo on it. A top folding black gift card holder would suit businesses. 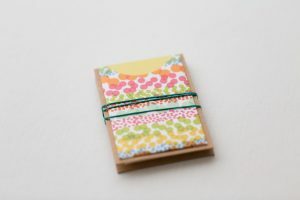 Most of the DIYs are easy to make that won’t take much of your time. 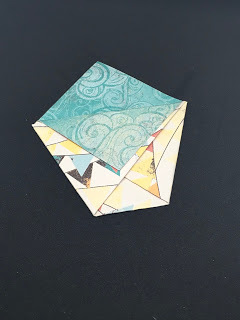 You can create a handful in different patterns and tell us how they look. 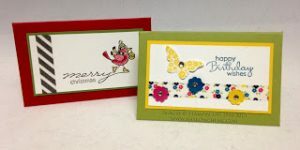 We are sure you would be happy with your creations.